Recognition, everyone wants it. 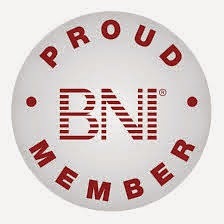 In BNI, we actually have recognition as part of our meeting agenda. In BNI, we want to recognize those members who are doing the most for the chapter. Whether that is passing the most referrals, or bringing the most visitors during the month. The belief is that by recognizing the top people each month, we will see other members stepping up to do the same. Since we want to grow our business by referral, we need to receive referrals. To be able to pass more referrals, we need to have visitors to grow the chapter so that we have more business options when we are looking for referrals to pass. Recognize and celebrate successes. In the agenda, the first meeting of the month, the Vice President has time to recognize those members who passed the most referrals or brought the most visitors for the previous month. How the Vice President recognizes them is up to the Vice President. The suggestion that I have is to have the top three members who passed the most referrals stand up. Give them applause. Then identify who the top member was. Tell the members that this person worked hard all month bringing referrals. Let’s all do our best to bring them referrals next week. More applause. Then do the same for the top three members who brought the most visitors. Also, there is a Notable Networker certificate that you can download from BNI Connect under documents. You can personalize it for the person who passed the most referrals, or brought the most visitors. You can either give it to them on the spot, or what if you put it in a holder to display at your chapter meetings each week until the next month when new recipients are identified. 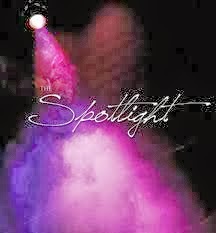 I have heard people say, I don’t need recognition, why should anyone else need it. It is part of our DNA to want to be recognized for doing a good job. Some people need it more than others. I have also had members receive the Notable Networker certificate and they left it on the table when they left the meeting. The indication is they did not care about the certificate. Keep doing it anyway. Put it in the holder to display for the entire month, maybe then they will see the value in it. Make your recognition memorable. If you are not good at giving recognition, delegate it to a member who will do a good job. One more area that we give recognition during the meeting. Testimonials. If you do not have a referral this week, give one testimonial. This gives recognition to the members in your chapter and it shows that they are doing a good job. Have fun with your recognition. Your members will appreciate our efforts.